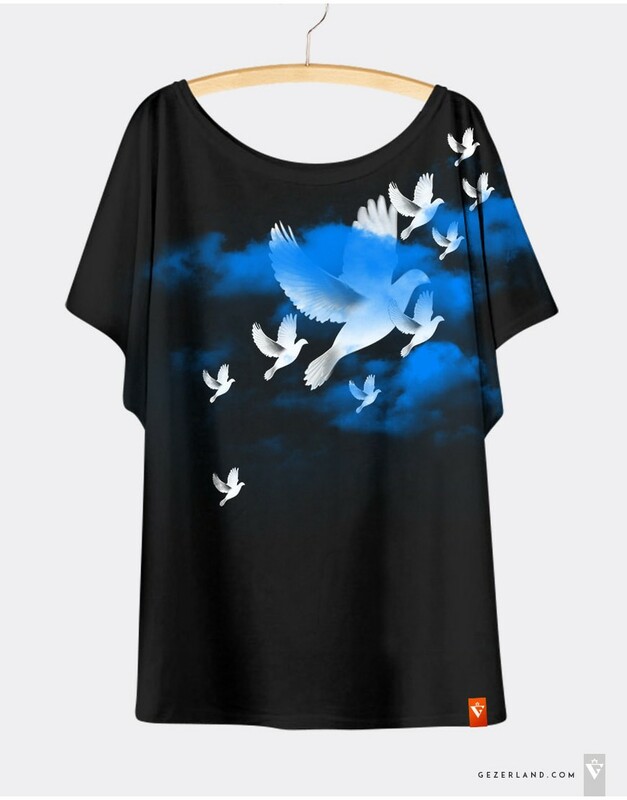 Women's Black T-shirt with Doves of Pease in the Sky. Made in Israel. A dove is a well-known symbol of peace in Israel; therefore a great number of astonishing stories are connected with it: the biblical version, the comparison presented in the Talmud, and concepts from post-biblical Judaism. Let’s get to know with them. According to it, Noah made the dove free in order that it could find the land after the flood. The dove came back with good news by bringing a fresh olive leaf. It has become a great sign of future life. In Rabbinic literature this olive leaf is interpreted as the cradle of Israeli state. There is one more version explaining it as ‘the dove’s preference for bitter food in God’s service, rather than sweet food in the service of men’. The Talmud is the central text in Rabbinic Judaism. The Hebrew abbreviation ‘shisha sedarim’ means ‘six orders’ since the name refers to six orders of Mishnah, more known as ‘Oral Torah’. In Talmud the dove is compared to the spirit of God as it hovers over the land. Such an interpretation proves one more time that the dove is a special and sacred symbol for Jewish people. 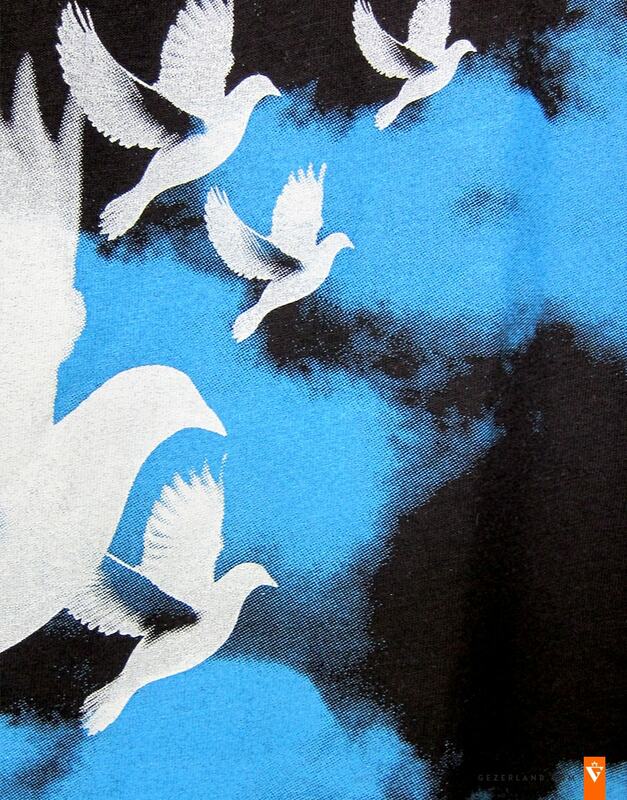 In Judaism of post-biblical period doves personified people’s souls. This concept may be explained in a way that the dead spirits produce special sounds reminding of chirps. The Treasury of souls is described in some context as a cote for doves. There is a legend illustrating this: the ‘Palace of the Bird’s Nest’ was the place of stay for Messiah’s soul before its advent. The Talmudist Elijah of Vilna declared that the dove was the symbol of human’s soul, while in Midrash it was called the symbol of Israeli people, that’s why it is described even in Songs of Rabbah. It’s up to you which version to believe, but no one would be able to dispute a special role of the dove for Israeli people. Being a symbol of peace, the cradle of Israeli state, the spirit of God, and the personification of people’s soul at the same time, it embodies the belief in a peaceful sky above heads and an inner harmony with yourself and God.